This week, we hear from Randy Blach, CEO of CattleFax. The Midwest has been devastated by a bomb cyclone. We learn about effective lice management. And, we recap the National Junior Angus Association’s annual Raising the Bar conference. We take a look at the U.S. beef export market. Angus GS is a tool that helps breeders accelerate breeding progress. And, we learn about Dr. Dave Hawkins’ significant contributions to the cattle industry. This month, we’re focusing on cattle care and handling– part of the Association’s belief statement, Raising Standards. We visit a Tennessee Angus Operation who strongly implements Beef Quality Assurance guidelines. We hear about the implications of the BVD virus. And, we learn about practical ways to approach disease management. This month, we’ll be focusing on cattle care and handling – part of the Association’s belief statement, Raising Standards. We visit Deer Valley Farms, a BQA certified ranch in Tennessee. We learn about the two foot score EPDs for Angus cattle. And, we hear from an expert on modern cattle handling practices. This month, we’re focusing on cattle care and handling – part of the Association’s belief statement, Raising Standards. Chase DeCoite speaks on the importance of BQA certification. And, we learn about Angus Genetic Inc.’s new research EPD for pulmonary arterial pressure. Kevin Good gives a market outlook for 2019. A report from NCBA shows retail beef demand is rising. A group of major companies and environmental leaders have come together to form a Plant Based Product Council. The American Feed Industry Association has provided new biosecurity guidance. Four individuals were honored at the Cattle Feeders Hall of Fame ceremony. We look at Mick Colvin’s role in forming the Certified Angus Beef brand. Allison Rivera discusses the new Farm Bill and the ELD exemption for livestock haulers. The Animal Agriculture Alliance released a report that highlights improvements in environmental stewardship and animal welfare. The USDA has awarded a substantial amount of money to help organizations affected by trade retaliation. Secretary of Agriculture, Sonny Perdue, weighs in on China’s promises to purchase more U.S. farm exports. Thunder View Farms wins NCBA’s Environmental Stewardship Award. Tom Burke is one of many iconic individuals who have impacted the Angus industry. Matt Spangler discusses dollar indexes. Tyson Foods, and the Environmental Defense Fund are working to grow food more sustainably. The American Angus Auxiliary is dedicated to supporting Angus youth. Dave Nichols was instrumental in establishing cattle performance records. Never miss an Angus Report episode or I Am Angus documentary. Subscribe to our YouTube channel – Angus TV – to receive a link to watch every Angus Report episode online. 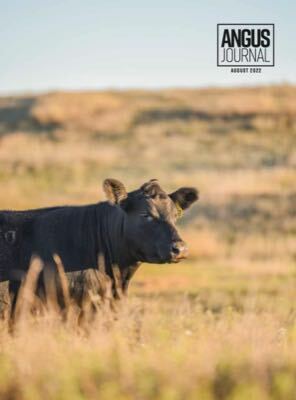 Stay up-to-date with the latest headlines with the free e-newsletter, Angus Journal Daily.